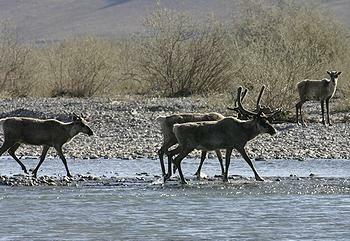 WASHINGTON, DC, January 26, 2015 (ENS) – “Alaska’s National Wildlife Refuge is an incredible place – pristine, undisturbed,” said President Obama in a YouTube video announcing his administration’s plan to protect core areas of the refuge, including its Coastal Plain, as Wilderness, the highest level of protection available to public lands. “I’m going to be calling on Congress to make sure that they take it one step further. Designating it as a wilderness so we can make sure that this amazing wonder is preserved for future generations,” said the President. The Department of the Interior’s Fish and Wildlife Service Sunday released a Comprehensive Conservation Plan for the Arctic National Wildlife Refuge that for the first time recommends additional protections. If Congress chooses to act, it would be the largest-ever Wilderness designation since Congress passed the Wilderness Act in 1964. No roads, vehicles, permanent structures, or commercial enterprises such as logging or mining are permitted in a designated wilderness. The 19.8 million acre Arctic National Wildlife Refuge is inhabited by the most diverse wildlife in the Arctic – 37 land mammal species, including caribou, polar bears, gray wolves, and muskoxen. There are eight marine mammal species, more than 200 species of birds and 42 species of fish in the vast refuge. Lagoons, beaches, saltmarshes, tundra and forests make up the remote area that spans five distinct ecological regions. Currently, over seven million acres of the refuge are managed as Wilderness, consistent with the Alaska National Interest Lands Conservation Act of 1980. Yet more than 60 percent of the refuge, including the Coastal Plain, does not carry that designation. Based on the best available science and extensive public comment, the Service’s preferred alternative recommends 12.28 million acres, including the Coastal Plain, for formal designation as Wilderness. The Service also recommends four rivers – the Atigun, Hulahula, Kongakut, and Marsh Fork Canning – for inclusion in the National Wild and Scenic Rivers System. Recommendations for Wilderness or Wild and Scenic River designations require approval of the Fish and Wildlife Service Director, Secretary of the Interior and the President. 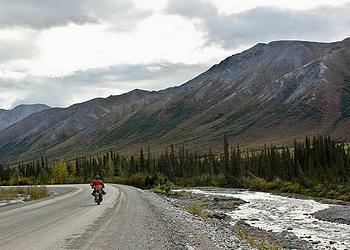 But only Congress has the authority to designate Wilderness areas and Wild and Scenic Rivers. Years of public engagement by the U.S. 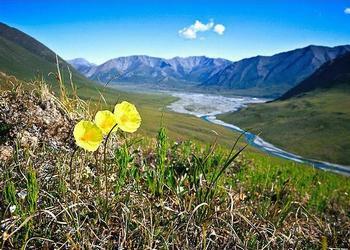 Fish and Wildlife Service went into revision of the Comprehensive Conservation Plan and a new Environmental Impact Statement for the Arctic National Wildlife Refuge, as required by law. The plan will guide the Service’s management decisions for the next 15 years. Sunday on the White House blog John Podesta, counselor to the President, and Mike Boots, who leads the White House Council on Environmental Quality wrote both a tribute to the Refuge and a warning. Calling the Obama Administration’s plan “outrageous,” “lawless” and a “war against Alaska families and the middle class,” the Alaska politicians, all Republicans, vowed to fight the administration’s Wilderness designation attempt. 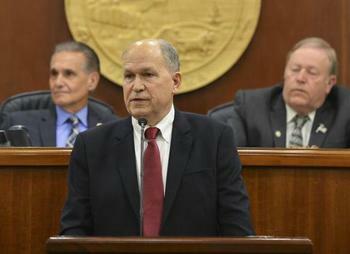 Governor Walker said he would accelerate oil and gas exploration and production on state-owned lands. 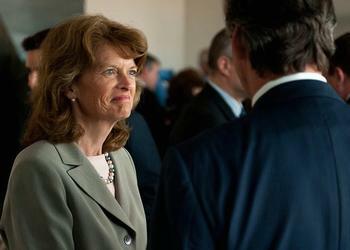 Wilderness status would permanently place off-limits the United States’ most promising onshore oil prospect and severely restrict access for subsistence hunters and other uses of the area, the Alaska politicians said. “It is just one more example of President Obama thumbing his nose at the citizens of a sovereign state, and will put Alaska and America’s energy security in serious jeopardy,” said Alaska Senator Dan Sullivan. But Podesta said today the Wilderness protection plan will not put an end to drilling. “We will continue to work to try to find balance so that there will be drilling – continued drilling in Alaska, and it’s done in conjunction with the Alaska state lands that are being leased for oil and gas exploration, continued exploration in the Arctic on the offshore side,” he said. The Alaska lawmakers also worried that President Obama plans to indefinitely withdraw areas in the offshore Arctic from oil and gas leasing in a new five-year plan to be released later this week. They fear it would ban oil and gas development in large swaths of the Chukchi and Beaufort seas although areas of these seas are already under lease by Shell, ConocoPhillips and Statoil. 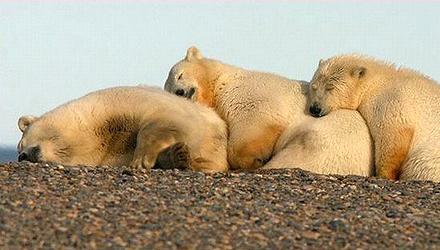 President Obama did sign an Executive Order regarding the Arctic on January 21. “As the United States assumes the Chairmanship of the Arctic Council, it is more important than ever that we have a coordinated national effort that takes advantage of our combined expertise and efforts in the Arctic region to promote our shared values and priorities,” Obama stated in the Executive Order. United States will assume the chairmanship of the eight-nation Arctic Council in May 2015 for a two-year term, taking over from Canada, which now holds the chair. “Over the past 60 years, climate change has caused the Alaskan Arctic to warm twice as rapidly as the rest of the United States, and will continue to transform the Arctic as its consequences grow more severe,” stated Obama, drawing on facts in a NOAA-led report issued in December, the Arctic Report Card 2014. “Arctic warming is setting off changes that affect people and the environment in this fragile region, and has broader effects beyond the Arctic on global security, trade, and climate,” Craig McLean, acting assistant administrator for the NOAA Office of Oceanic and Atmospheric Research, said during a press conference in December 2014 at the annual American Geophysical Union Fall Meeting in San Francisco. “This year’s Arctic Report Card shows the importance of international collaboration on long-term observing programs that can provide vital information to inform decisions by citizens, policymakers and industry,” said McLean. In his Executive Order, President Obama acknowledged the damage climate change is doing to the Arctic. 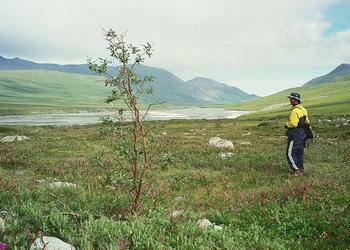 “Over the past several decades, higher atmospheric temperatures have led to a steady and dramatic reduction in Arctic sea ice, widespread glacier retreat, increasing coastal erosion, more acidic oceans, earlier spring snowmelt, thawing permafrost, drier landscapes, and more extensive insect outbreaks and wildfires, thus changing the accessibility and natural features of this remote region,” the President wrote.